DIRECTV for BUSINESS is now part of the AT&T Family. Its All About Satellites is your Authorized DIRECTV Dealer. We will continue to bring you all the DIRECTV programming that drives your business. You may be wondering what other sports are going to be available for your customers to watch in your bar, restaurant or retail business in January. DIRECTV has an amazing amount of sports for Bars, Restaurants and Retail to show on your TVs including exclusives like NFL SUNDAY TICKET, so let’s see if they have the sports that your customers want to see this month. Watch your favorite teams and exciting Mountain West Conference basketball on ROOT SPORTS, CBS & CBS Sports, and the ESPN Networks in January.Call us for a full schedule of Mountain West Conference Football & Basketball games on ROOT SPORTS, CBS and ESPN Networks. If your customer is a soccer or futbol fan they are in good company. If you are a soccer or futbol fan you are in good company. Nearly 9 times as many fans watched World Cup Soccer on TV than the Super Bowl worldwide and no one brings you more soccer nationwide than DIRECTV. College Football is down to the final games and College Basketball is underway and you want to make sure your customers can watch their alma mater or hometown team at your bar or restaurant. With subscriptions starting at $235 for 3 installments, ESPN College Extra on DIRECTV is how Bars and Restaurants can become THE destination for college sports fans. DIRECTV not only delivers the most sports on TV, they are committed to providing you with the marketing tools and materials you need to spread the word to your customers so they know what sports are available at your business. Drive sales through the DIRECTV for BUSINESS MVP Marketing Program. 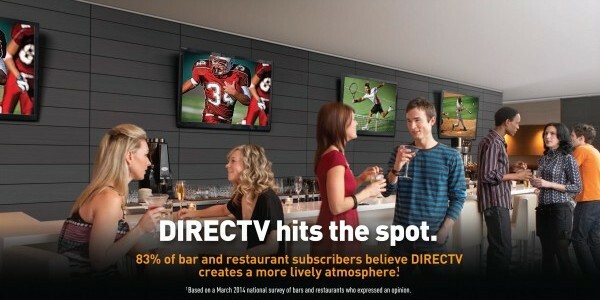 DIRECTV Restaurant and Bar accounts can receive up to $2,500 in FREE merchandise each year! Get professional sports banners, posters, coasters, and more to let everyone know you are showing their favorite games. Use DIRECTV Sports Finder to see when the biggest games are on – so you always attract a huge crowd. 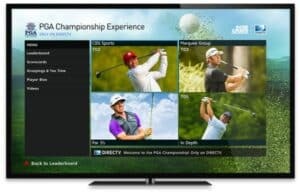 Get access to directvmvp.com, a merchandise site where you can create customized advertising and decor. *According to a DIRECTV sponsored survey. Let us show you how DIRECTV for BUSINESS can drive customers to your location and help you keep them coming back. 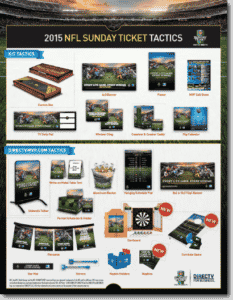 Customers must subscribe to a qualifying base programming package to order NFL SUNDAY TICKET. NFL SUNDAY TICKET service will automatically renew provided that DIRECTV continues to carry the service, unless customer cancels before the season starts. 1 To access HD programming, HD equipment is required. 2 Blackout restrictions and other conditions apply. Actual number of games varies by market and based on day games. 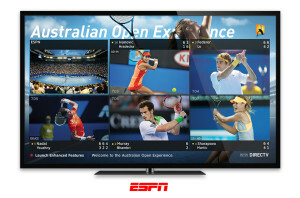 3 For full Game Mix and interactive functionality, a D10 or later model) interactive DIRECTV Receiver is required. 4 Short Cuts are available from midnight Sunday ET through midnight Tuesday ET. 5 Existing DIRECTV customers who did not subscribe to NFL SUNDAY TICKET in 2014 qualify. All other offers extended to 1/27/16. 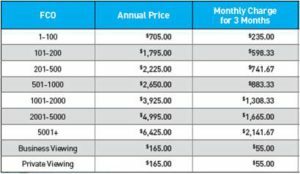 New residential DIRECTV customers only (equipment lease required). Credit approval required. Credit card required (except MA & PA). Pro-rated ECF fee (up to $480) and Equipment Non-Return fees apply.